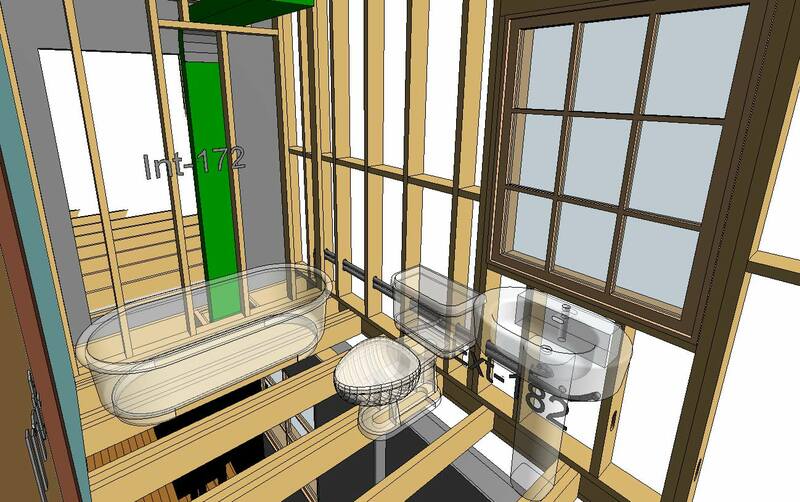 Now complying with the latest energy efficient & green building methods in use today, MWF Pro Wood is the ultimate Revit® add-on for wood builders. 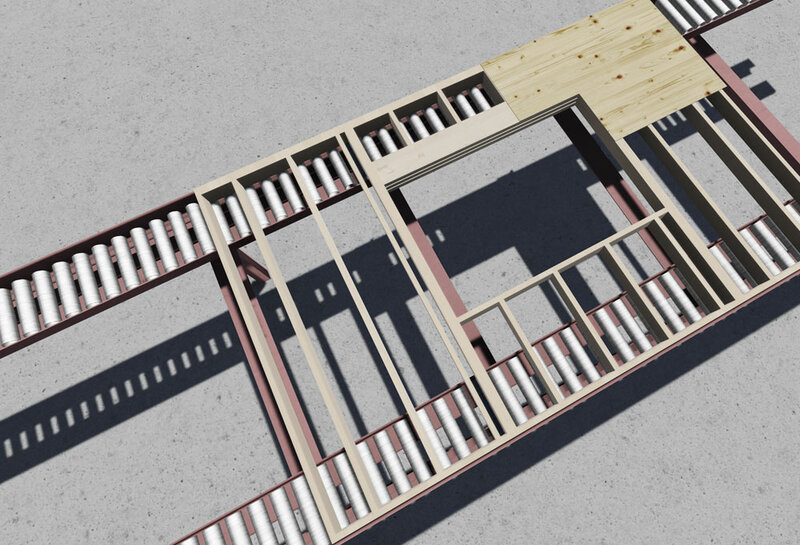 Capable of framing virtually any project from single family homes to large scale multi-family structures, MWF Pro Wood allows its users to create custom framing to define all aspects of wall, floor and roof framing. 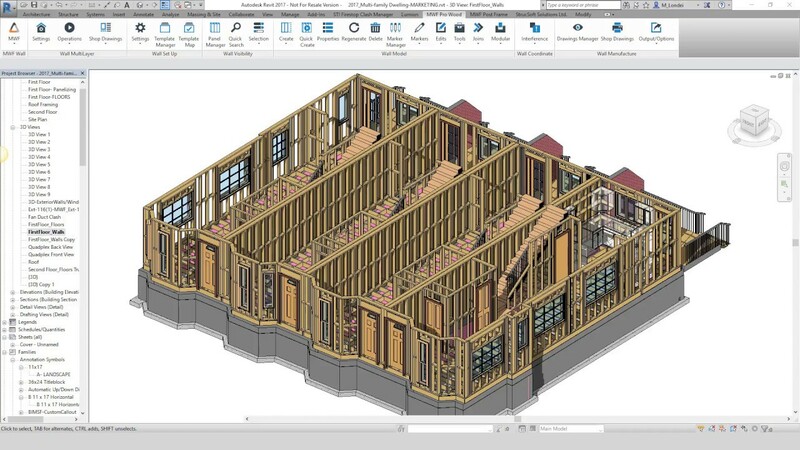 Precise framing data for all layers of a wall can be implemented to automate everything from structural framing, furring, clapboard and sheathing. 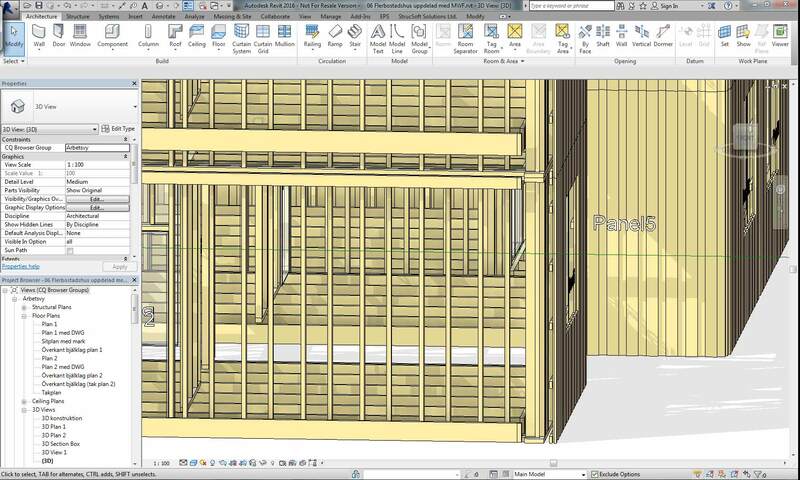 The software can then automatically apply the framing throughout the Revit® model, while differentiating wall types, openings and penetrations throughout your Revit® project. 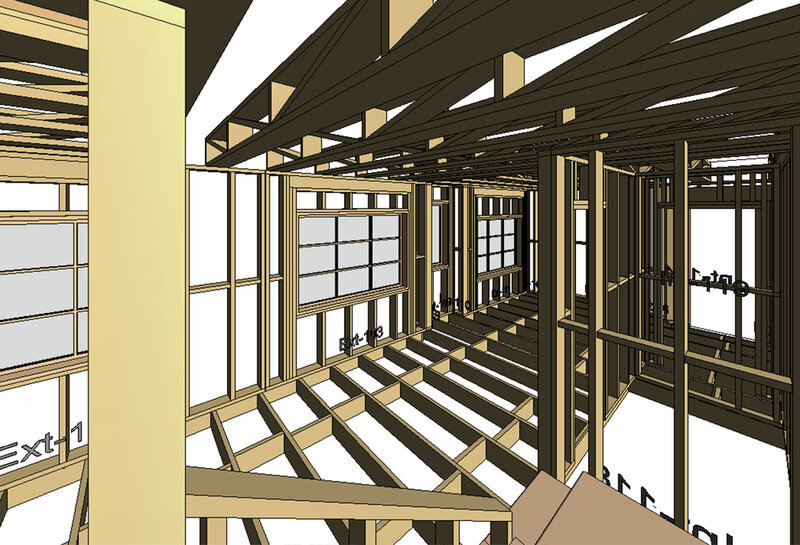 With 3D framing complete, the project’s 2D panel drawings, cut lists, bill of materials and optional CNC output are a click away. 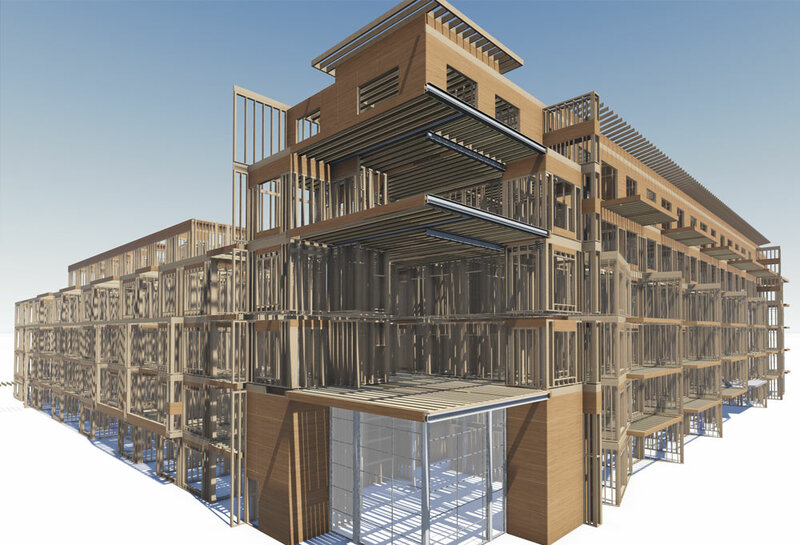 Suited for wood builders, MWF Pro Wood can model to incredible levels of detail within any project from single family homes to large scale multi family structures. Inter-trade clash detection is now possible with MWF Pro Wood. 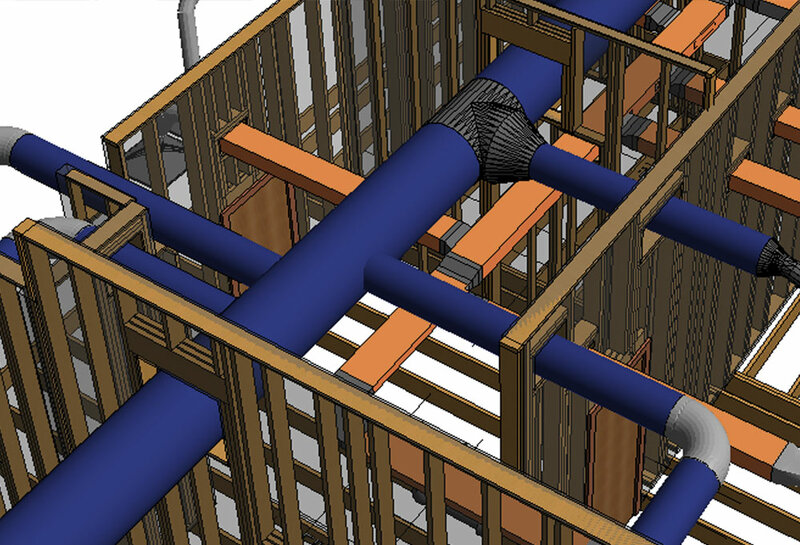 MWF can detect clashes between critical framing, structural beams and MEP within seconds. 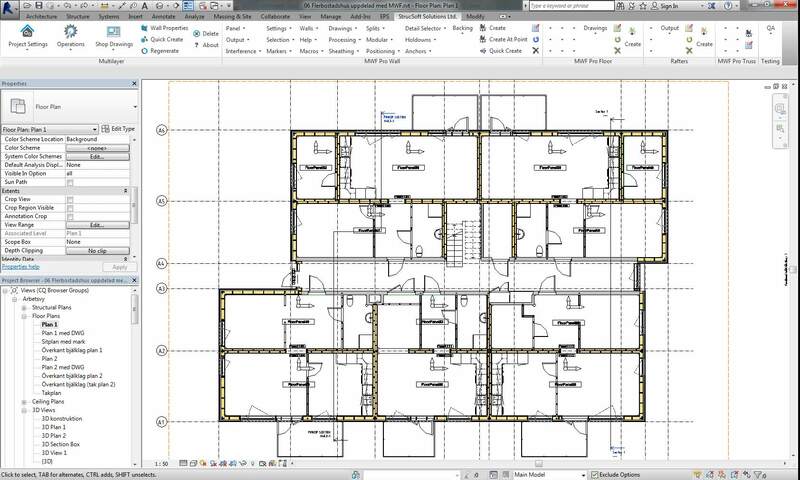 Use your existing sizing tools (Woodworks Sizer, Forte, or BC Calc) to automate sizing of complete floor systems. 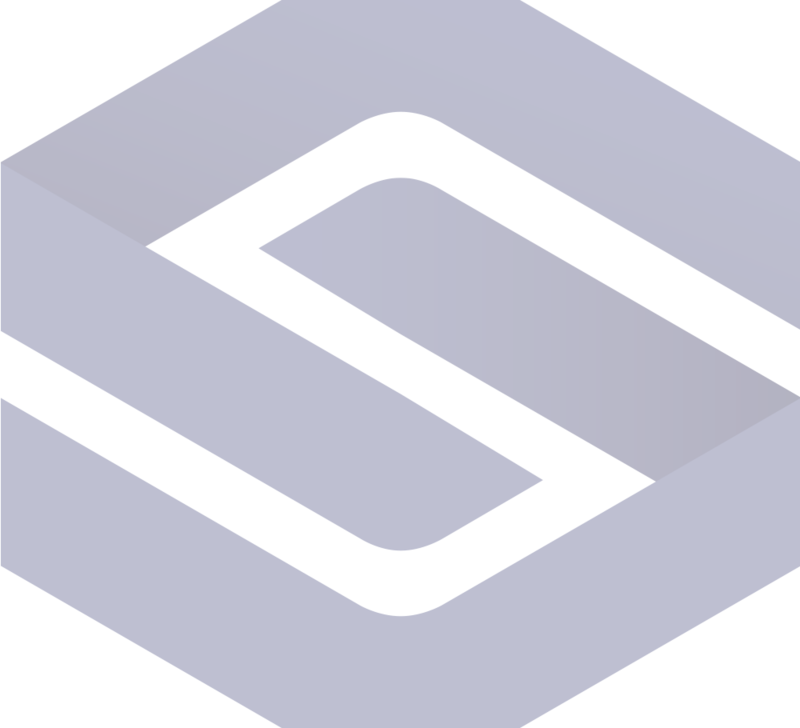 Automatically and seamlessly send loading information from the model to your choice of engine and back to the model to input correct sizing and spacing. Cut lists are automatically sent to your CNC machine interface for simple and complex cuts. 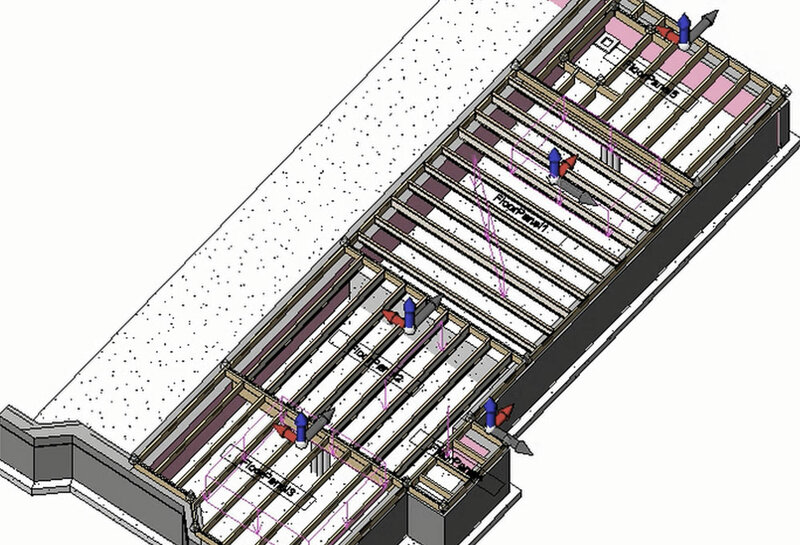 Export to dimensioned shop drawings and CNC rafter outputs for complicated birds mouth and end cuts. Virtually infinite wall framing configurations are made possible with MWF Pro Wood. Create material schedules, cut lists, CNC output and dimensioned panel drawings with a single click. 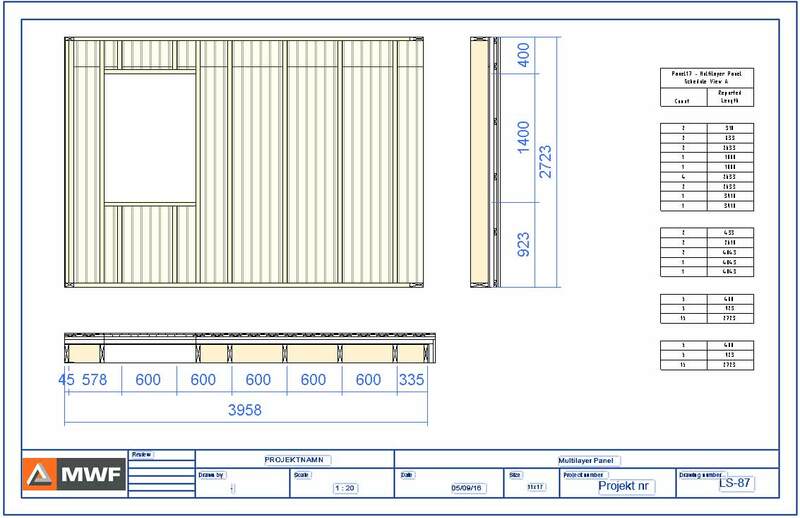 Create custom truss profiles or choose from our pre-existing templates. 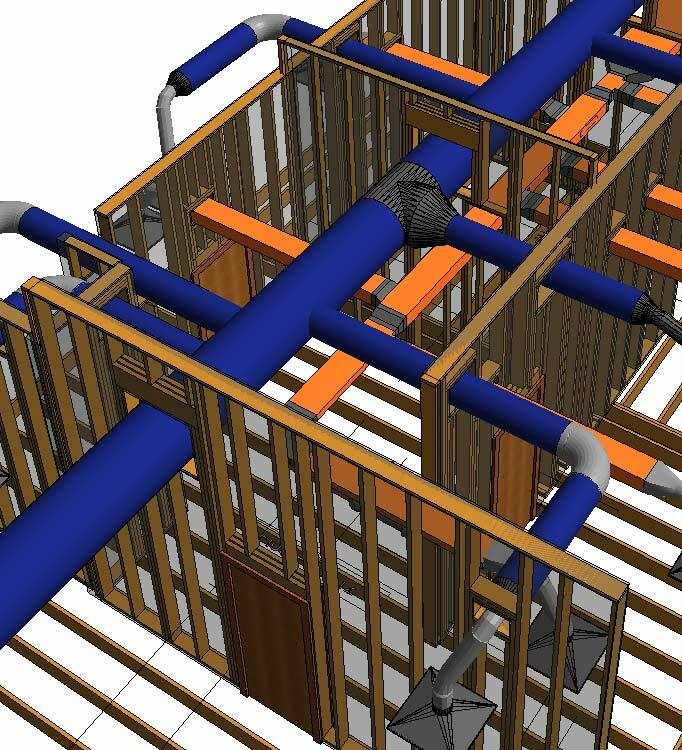 Wood builders can leverage the coordination capabilities of Revit® by using MWF to manage clash detection with MEP and structural beams and columns. 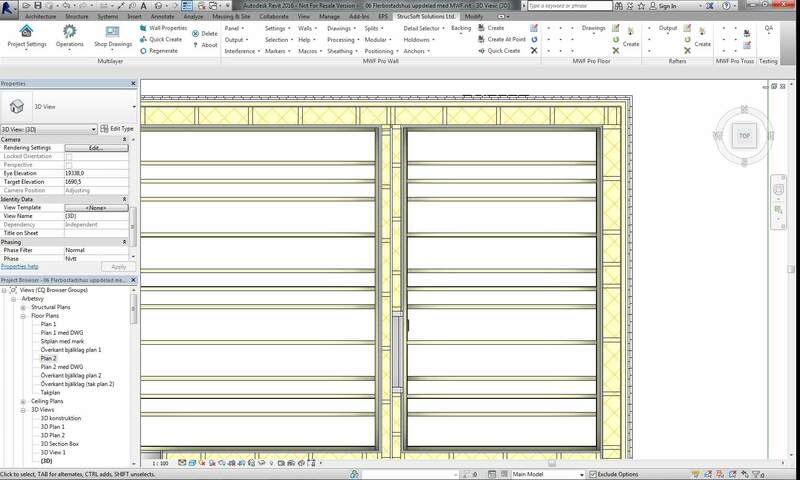 Openings are auto-generated and framed according to user-defined criteria. 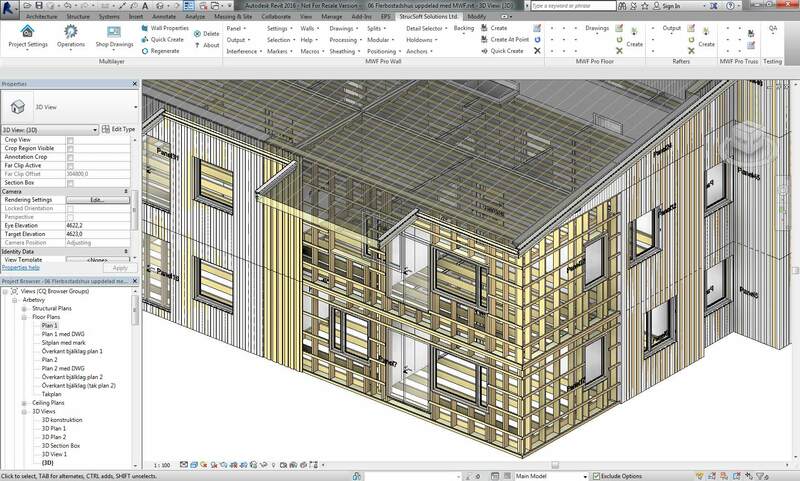 The user has virtually no limitations to the number of layers, orientation of members or type of materials used. Layers can contain sheathing, furring, clapboard, structural framing and more. Floor systems and beams can also be sized and engineered using plugins for Forte by Weyerheuser and Sizer by Woodworks.